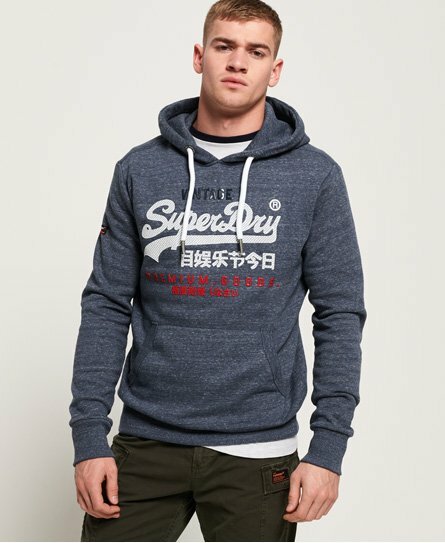 Superdry men's Premium Goods tri infill hoodie. Update your hoodie collection with the Premium Goods tri infill hoodie, featuring a drawstring adjustable hood, front pouch pocket and a textured, tri colour Superdry logo graphic across the chest. This hoodie is completed with a Superdry logo badge on one sleeve and the iconic orange stitch in one side seam.